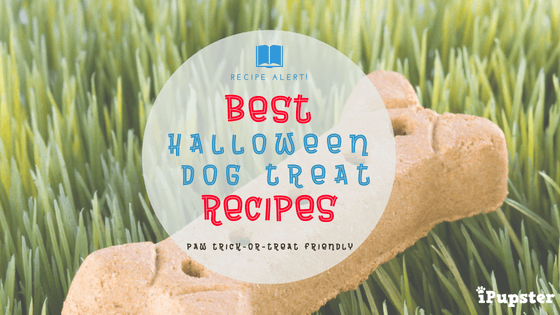 These are such fun and delicious Fall or Halloween treats for the special dog in your life. They’re easy to make and packed full with nutrition. Let’s go baking! This treat is not only tasty but is also full with fiber, vitamin A, betacarotene, potassium and iron. 2. Mix pumpkin, molasses, vegetable oil and water together in a bowl. 3. Add the whole wheat flour, baking soda, baking powder and the cinnamon to the mixture and stir until the dough softens. 4. Scoop out small spoonfuls of dough and roll into balls (wet hands help). 5. Set the balls into a lightly greased cookie sheet and flatten with a fork. 6. Bake for approximately 25 mins until the dough hardens before sharing with your pup. Pumpkin is good for the heart and bananas provide a multitude of vitamins and minerals. This snack is another delicious and nutritious Halloween treat for both your dog and those furry four legged trick or treaters pals that might come by your house! 2. Peel and mash banana. 3. Add pumpkin and blend together. 4. Mix in cinnamon, nutmeg and the ground flax. 5. Add oatmeal and ¾ cup wheat flour, mix well. 7. Knead in remaining ½ cup of wheat flour a few tablespoons at a time. Let sit for 10 minutes in bowl. 8. On wax paper, roll dough out to ¼ inch thick and cut into your favorite Halloween shape. 9. Bake for up to 10 minutes or until bottoms are slightly browned. Once you see that, turn off oven and place treats back into the cooling oven for 20-25 minutes to harden. We’re sure your Pooch and his visiting pals will love this Pumpkin & Apple snack and it’s packed full with antioxidants, flavonoids and dietary fiber. Use the leftovers of the pumpkin for this yummy and easy dog treat recipe. 3. Whisk together flour and baking powder until no lumps are visible. 4. Add diced apple, pumpkin, egg and water and stir well until all dry ingredients are moistened. 5. Roll the dough out on a lightly floured surface and use a cookie cutter to cut shapes of your choice (bone etc.). Transfer to the parchment-lined baking tray. 6. Bake for about 20-25 minutes or the dough hardens and is crisp. 7. Remove and let it cool on a wire rack.